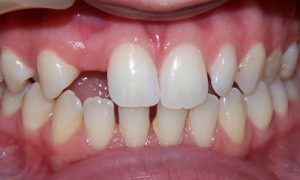 These usually consist of a false tooth positioned between two crowns and can help fill the gaps left by one or more missing teeth. Made from porcelain-metal or all-ceramic, they can also be supported by dental implants for a predictable solution for missing teeth. We prepare the teeth either side of the gap by removing a layer of hard tooth tissue, which makes room for the metal-ceramic material. We take impressions, so the bridge can be tailored made to fit. While we wait for this to be produced, the prepared teeth are protected with a temporary restoration. 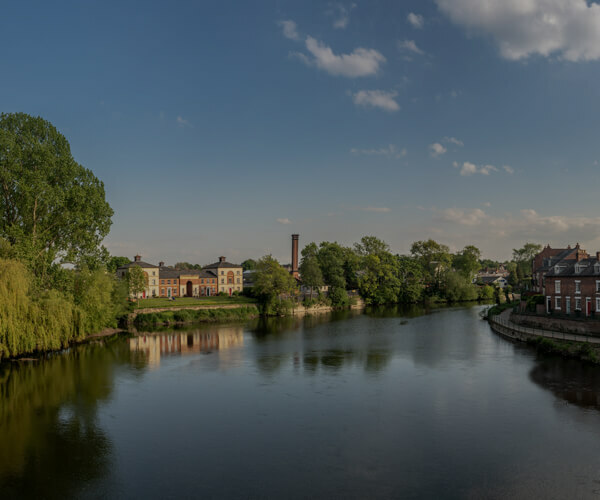 When the bridge has been fabricated by our skilled technicians, we check it for fit and quality before fixing it firmly in position with dental cement. 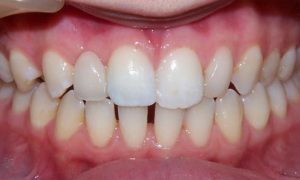 There are a variety of bridge types, including traditional bridges incorporating two crowns, cantilever bridges for when only one natural tooth is used to support the bridge, or resin-bonded bridges, which are fixed to supporting teeth with metal or ceramic wings. 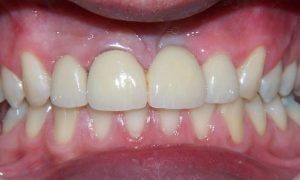 Bridges last longer if they are well-maintained, so it’s important to clean your bridge, the area below the false tooth and the supporting teeth. 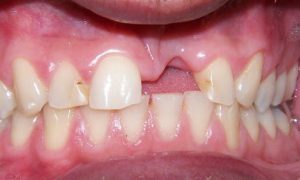 The main disadvantage of bridges is that they often involve irreversible long-term damage to supporting teeth. This 29 year old patient had missing and worn front teeth which we restored with a ceramic bridge and crowns. This 16 year old girl had a missing lateral incisor which we restored with an adhesive minimal-prep bridge.